The catch is, even if we were – we (like any other property manager) would be limited to our own inventory. What if we had 10 places available in Waikiki, yet the consumer wants to rent a home in Hawaii Kai? Our hands would still be tied. 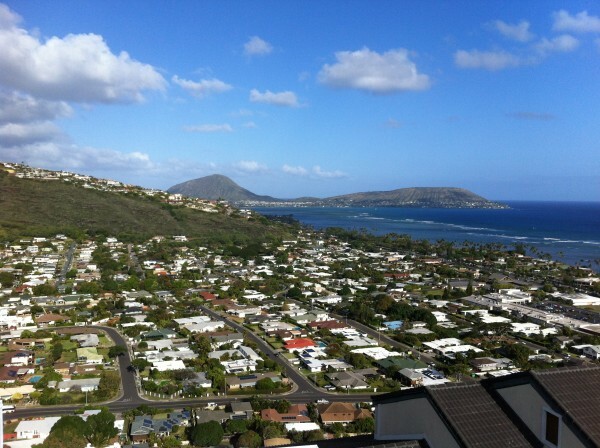 Where do you begin looking for a place to rent on Oahu? Most property managers out there are looking for more inventory to manage vs. finding a tenant a place to rent. Unlike a lot of the large metro cities such as New York where you can hire a Realtor to help you find a rental, most Realtors here are quick to point you in another direction. Why? Because there is no money in it for them. Craigslist – It has by far the most inventory of all residential real estate to rent here on Oahu. Just be careful though as there are lots of scams. HiCentral – This is the public facing website of the Honolulu Board of Realtors. At least every rental listing here is represented by a Realtor that abides by the Code of Ethics. Star Advertiser – This is the largest newspaper on Oahu. Their classifieds section is typically a good source as well. If I had a dollar for every call I got from a consumer asking, “Is this property actually for rent at this price?” or “Could you please tell me if this is the real owner?”, perhaps I wouldn’t have to sell real estate anymore. Just kidding! You would be amazed though how many scams are still on Craigslist. The typical Nigerian money wiring scam has notoriously morphed into rental scams here and abroad. Please – DO NOT WIRE MONEY to someone that says they are the owner. You want to be sure to meet the person here. As I started the article, we are not currently managing rentals on Oahu, however, if you have specific questions about a neighborhood, etc. we are Realtors and that’s what we do. We help people. Feel free to use any one of our great agents on Oahu as a resource. Who knows? Maybe after looking for a rental and comparing to a mortgage payment at today’s low interest rates, you may consider a purchase instead. Regardless, we are here to help. @Carrie – I’d check the links in the article, however honestly may be hard to find what you’re looking for at that budget. LOOKING FOR A LONG TERM 3BDRM SINGLE FAMLY HOUSE THAT ACCEPTS SECTION 8 I am a single mother with four BEAUTIFUL children. LOCATION NOT IMPORTANT.